Ultimately, I decided the name doesn’t matter. A name is just a box we put ideas in. What matters is that I understand my relationship with food. Then I can start figuring out the consequences my environment, my thoughts, and my actions have on that relationship and make plans to manipulate these things to my best advantage. I don’t know what the official definition of addiction is, though I could look it up on dictionary.com or the DSM-IV (Diagnostic and Statistical Manual of Mental Disorders). I don’t know if what happens in my brain when there is leftover cake in the break room is the same thing that happens when an alcoholic is inside a liquor store or a smoker is inhaling second-hand smoke at a bar. It would be interesting to know, but I doubt it matters unless you’re working on a cure for addiction. Right now I’m just trying to cope with the way I am. Giving my problems a name seems less relevant than managing them. It’s nice to have the name, for sure. Then you can popularize the term and it makes it easier to explain it to other people. You can say, “I’m an alcoholic” and people instantly understand what you mean. It would be nice to have scientific proof too because then you can point to the studies and the fancy medical speak and explain to people why you are the way you are. That would make them stop jabbering on about willpower and calorie counting and stop them wondering why these silly fat people can’t stop eating so much already. Once people see that there is a biological reason for the way you are, they get much more understanding and stop blaming you for a character flaw. So, addict, compulsive overeater, or Lady Piggy McEatsalot, I don’t care what you call me, but at least I know what I am. I always say I’m a food addict/COE/binge eater/ (insert new vogue term here). You are right: the title doesn’t matter much; acknowledging it and taking steps to address it does. Kudos to you! Unfortunately, there is shame and misunderstanding about all addictions – most people who aren’t a (insert addiction here) don’t “get” it. Even with medical evidence to back up said addiction. But it sounds like you’ve taken the first step toward recovery, which is fantastic! Do what you need to do, and don’t try too hard to convince others about WHY you are doing WHAT you are doing…just do it. When you figure out you are an alchoholic, you stop going to the bars. it’s not even possible. I still have to do the thing I can’t control at least 3 times a day and be expected to control it. That’s like telling an alchoholic that they have to drink at least 3 times a day, but don’t get drunk. Are all overweight people addicted to food? In your opinion (“your” as a general term – as I would love to hear your readers’ opinions) are there fat people that are not addicted to food? I am a former fat person. I weighed almost 300 pounds nine months ago. I believe I was once addicted to food. I ate emotionally, ate compulsively and ate for pleasure. One day, it all just stopped. I am 134lbs lighter. I am afraid. Afraid of a trigger that will return me to my former self and send me straight back to the pit of hell I escaped from. So tell me, are we all addicts? Is there a cure? You’re absolutely right about the terminology; the wording is only for those who don’t understand and it may make it easier to explain if they knew what you were talking about. However, having them understand isn’t really the point, I’ve gotten to the place where I stop trying to explain my “problem” and just tell people to “Keep that cake away from me!” I know I’ll want three slices and not just one small sliver like the rest of them. So yea, they can think I am just a fat girl who needs to have more will power, but I know what I need to do stop being what I know I am…a food addict. I really love this statement and plan to quote it frequently. I’ve been avoiding that word ever since I heard of OA, but I realize that it is not normal to turn to food when you’re depressed or bored or even happy. It’s like a friend that’s a back stabber. I’m learning to eat for nourishment which is such a novel concept to me. First, I got to the point where I only eat when I’m hungry. Now I’m working on eating nourishing foods when I’m hungry, not just what tastes good or what I think will make me feel better. *SIGH. I’m reading this as I’m sitting here with a bowl of pasta salad in the fridge, my weakness. There would beat nothing abnormal about that if not for the fact that the ONLY thing I can think of is eating that pasta salad. I’m counting down the minutes until what could be considered a normal and acceptable lunch time hour so I can dig in. The mother of a friend of mine (wow, sorry for the Spanish sentence structure, I can’t think of how to reword that right now) goes to Food Addicts meetings and has lost a ton of weight. She says that just having a name for her problem has made the demons easier to manage. I am a food addict for sure and there are certain things that trigger me just as a bottle of choice booze for an alcoholic would trigger them or drug of choice for a drug addict. For me if I stay in my little controlled world I’m fine put you put a trigger food in front of me or put me in a social setting where there are trigger foods I will cave. I know this about myself though so it’s become about not putting me in those settings just like the alcoholic not hanging in the liquor store on the drug addict on their favorite corner. It really all comes back to control. I think every alcoholic, drug addict, food addict, etc has control issues. I also think all these people have anxiety issues. I’ve analized myself enough that I’ve figured these things out about myself. I’ve also realized that addicts will replace their addictions with something else, it’s a given. I’d like to think I’ve helped my anxiety and replaced my addiction with exercise. It does give me a high when I do it for sure. As a food addict I will struggle for the rest of my life. All I can hope is that through all this (and with therapy) I’ve realized what I have to do to control myself. I was going to say the exact same thing as KlM above. My husband smokes (which grosses me out, but that’s a whole different problem). He could, right now, stop smoking. Never have another cigarette as long as he lives, and he’d be just fine. Better, in fact. If you’re an alcoholic? You don’t drink. You completely abstain from that to which you are addicted. Unfortunately, I can’t abstain from food. I wish I could. I would make life a lot easier if I didn’t have to eat. I dream about not having to eat. I wish there was a pill that could make my stomach feel satisfied and not growl at me without me having to eat anything. I hate having to eat. I have a number of good friends who are in 12-step recovery programs, and from what they have told me about their addictions, if I replace the word “alcohol” with “junk food,” much of it applies to me. I definitely have trigger foods, things that I simply cannot have a single portion of and then stop. One friend told me about how, even with ten years of sobriety, it makes her crazy to see someone at a party finish half a drink and leave the rest forgotten. I’m exactly the same with with a piece of birthday cake. So yeah, I believe it’s an addiction. But I think the triggers are different from person to person, and a huge part of this journey has been learning what my own triggers are. Abstinence from a food standpoint is a tough one. 1) it is hard for an addict to make a rational decision about what to eat– no matter how smart we are. 2) Everyone is really different and one size (food plan) does not fit all in this department either. My triggers are not your triggers probably. If I had to guess- I’d say sugar and refined carbs are the major problem for most of us but the other aspects vary wildly. I can binge on nuts and dried fruit for God’s sake! @Ann – I am interested–it all just stopped? That is like a dream come true for most of us. Was food not appealing to you or what? And to answer your question “is there a cure?” I think that conventional wisdom says “no.” It must be managed, and managed very carefully. For some of us, this is the types of food we eat. For some of us, it is managing our environment (where we eat) i.e. stay out of the breakroom, don’t go to buffet restaurants, etc. But for sure it is a decision to manage for the rest of our lives how we eat and how we move. @JulieESG – You know what makes me crazy? People who say something is too sweet or too rich for them. I double dog dare anyone to find a food that is either of those for my addict palate! I used to weight 264 lbs and over the last few years I have lost weight and managed the maintain the loss. 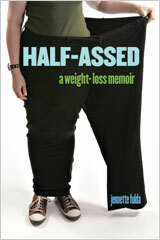 I am still far from thin, but I have gotten a handle on many of my food issues, thoigh certainly not all. I also consider myself a food addict and I agree that although the label is relatively useless — meaning it doesn’t solve any problems — it is somewhat comforting to have a name to give to your problem, a title for it that will make other people understand what’s wrong with you. For years, I figured that my food issues were as a result of my own character flaws and weaknesses. I thought, if only I had normal willpower (since it seemed EVERYONE but me was easily able to control their desire to eat and eat), I would be okay. I figured I was a weak person. When I finally realized that food can be as addicting for some person as cigarettes, hard drunks and liquor, it definitely alleviated some of that guilt. I still want to know what CAUSED my food addiction — I want to know whether initial overeating (or overfeeding) as a child triggered the addiction or whether it was something I wuld have developed no matter what because of some natural problem in my brain chemistry or something. I think this was/is my problem, but I do not think ALL overweight people are food addicts. Some people eat emotionally, to alleviate depression, etc. I always ASSUMED I did this (hence my assumed personality problem) but looking back on my binge days, I realize I didn’t eat emotionally – I didn’t eat to escape pain. I didn’t have that much childhood pain, aside from being so heavy. I had no problem expressing my anger, sadness, happiness, etc. in traditional ways. I ate because I felt I needed to. It was a physical need and a physical problem, not emotional. Certainly my overeating upset me, but I don’t think I overate BECAUSE I was upset. Unfortunately, the word “addiction” is a lot more than a box in which we can put an idea. Whether, and how, insurance companies decide to allow the treatment of obesity has a lot to do with its origin–behavioral, psychological, genetic, environmental, etc. Whether it is legal (or defensible) to penalize obese people by charging them more for health insurance or airline tickets also depends on our collective understanding of obesity’s causes and whether one can “help” it or not. I understand that you-the-individual are most interested in understanding and managing your own behavior, but I think the addiction paradigm has far greater implications for how we as a society understand and react to obesity. I love the quote about a name being a box that we put ideas in. I struggle with the emphasis on the term, and not so much the action. (If that makes sense…) I am definitely addicted to food, there is no question about that. I remember in grade school calling myself names to beat other kids to the punch, in terms that parallel Piggy McEatsalot. What calling yourself a disparaging name really does, though, is give you and everyone else permission to hurt you. Not okay. So it breaks my heart to hear you calling yourself names. More to the point, I doubt that doing so will help you meet your goals. As I face my weight issues again this January, I think back to the last time I successfully lost weight. I thought then that it was the diet I tried, but I doubt that now. I very luckily started the diet after almost two years of yoga classes combined with meditation that greatly improved my mindfulness–my ability to stay present in the moment, aware of but not judging myself and the world around me. I believe that mindfulness was key to my success, and when I fell off of that bandwagon, I began to regain. I suspect many of us struggling with weight could do far better if we focused on mindfulness. So that’s my plan for 2009. Of course, I’ll also work on eating more fruits and vegetables, but I think mindfulness is the best path to making peace with food. I think she makes some wonderful points in this post, and hope Oprah and others beating themselves about weight will read it and consider. Meantime, PQ, I hope you’ll consider whether calling yourself names is going to help you at all. Sounds like the kind of self talk that leads to anxiety and–surprise!–overeating. Best wishes for a happy, headache free, successful 2009. I’ve been wondering this for a while. Like many of you have noted, I’ve noticed that sugar, white flour, and sometimes other carbohydrates tend to be triggers for me. I can’t help wondering if that’s because the eating plan that I’m on restricts them (and therefor I’m treating them as “bad” food), or because there really is a biological basis (i.e. insulin reactions and so forth). I couldn’t agree with you more — words are very limiting. One person thinks “x” when they hear Food Addict, another person thinks “y” and what you meant was “z.” What matters is that you know and understand it yourself — can watch for your triggers and take care of yourself in the best and most mindful way. Great post. @BrightAngel – I totally agree, great quote! @gknee – You crack me up. My boyfriend hates anything decadent. I think his brain’s on the fritz. My Mom (bless her heart) made some horrible (wonderful) Mississippi Mud Cake brownie concoction when I was a kid. It was thick and fudgy and rich and we were supposed to get sick if we ate more than one teeny square. HaHaHaHa! I know that my relationship to food is NOT healthy. It is not normal. When I need comfort I turn to it and do more damage to myself than at any other time in my life or through any other means. Food is the substance that I abuse. So, yes, I do believe that food addiction is real. It is also the only addiction in which you can’t simply go cold turkey, you still have to eat the damned stuff and only do it without overdosing. I feel so blessed to have picked the freaky deaky super stupid addiction to latch on to. Is it too late to switch to crack? I’ve been thinking about this some more. I still think that recovery from food abuse for many of us means that we have to go to meetings, work the steps, read the Big Book, call our sponsor, etc. But food addicts don’t commit vehicular manslaughter because they were driving after using. Food addicts don’t steal money because they got fired for using at work and now need money for their next fix. No matter how many meetings I go to, I just can’t see myself as indistinguishable from, say, a meth addict — even though OA dogma says that I am. @victoria – I think maybe you misunderstood me. That was my point. That you can’t stop going to the kitchen. And for some, even walking through the door of the kitchen is enough to make them lose their control. Food IS every bit addictive as any other “substance”, namely sugar. I think we are all responsible for our actions, but I also think that people without food issues have a harder time understanding food issues than if someone can just say, “I’m an alchohoic”. That seems to be a more “acceptable” term as far as people understanding what that is. But again, just like it’s not the Vodka’s fault, I guess it’s up to us to figure out a way, one day at a time, to manage to our food issues. Whatever they may be. Sorry for the confusion. @Jen – I think there is something to the whole white flour, rice, pasta and sugar thing. More from a standpoint of zero nutritional value. BUT, I’m starting in 09′ with the approach of “leaning” more to the brown stuff and WAY less sugar. If I DARE say No more of this stuff, my body will hear me and I will be sitting in my kitchen covered in flour, boiling pasta and eating sugar out of the bag so I can’t say NO MORE. Just cutting way back as a new, healthier way of life. And in my little humble opinion, from what homework I’ve done, there is insulin resistance. I was at a workshop today at which parents of children with autism and Asperger’s syndrome shared their experiences with their children. And they all felt that, while knowing the name for the ‘something’s just not right’ feeling they had about their children was devastating, they also said it gave them a starting point for figuring out solutions, a way to wrap their brains around the problem, and a way to communicate about their issues (and their childrens’ needs) with others. There are similarities with compulsive eating (or whatever you call it) – the name helps some to start to understand what’s going on and begin to explore it, deal with it, talk about it and feel some sort of ownership of it. That’s funny. I wrote about this exact same thing in my blog today. Not as eloquently or scientific as yours, but it’s the exact same topic. Thank you! I haven’t read through all of the comments, but I definitely believe that you can be addicted to “food” – and the quotes around the word food are intentional. What we eat today is no longer food, it is processed ‘food like’ material. I struggle with the addiction to this “food” all the time. I read the book “in defense of food” a few months back and absolutely changed the way I ate for about 6 weeks. I ate only food, things that had 5 or less ingredients, nothing processed or artificial. Shockingly, during those 5 weeks I didn’t feel the cravings that I do when I’m not eating that way. I am addicted to the chemicals in processed food and addicted to the high of processed sugar – I need to get back to not eating any of that crap anymore. I certainly felt better without it. @debby – Yes, one day, it all just stopped. And I could control it. In nine months, I have not binged, not over eaten, or eaten anything that I should not eat. I have minor cravings some times but I can g control it. I think the biggest part of my “control” is fear. The fear of eating something I shouldnt and it being the one thing that triggers me to go back to my old ways and be that “bag lady” again. I eat mostly all natural, organic whole foods – all the time. I have one “rule” I make myself follow and that is that I can eat anything I want as long as it comes from the Whole Foods Market…but even with this one simple rule, I know I must always practice moderation and make smart choices. @Ann – I agree with Debbie in that food addiction has no cure. Unless a brilliant scientist discovers the switch in the brain. Though I don’t think all overweight people are addicts. A few just eat too much of the wrong thing. Congratulations on your success. I, like you, beat my addiction. I thought it was under control. I literally thought, well I don’t have to worry about that anymore. I was wrong. The cake in the break-room PQ spoke about can send me into a spiral. Sounds like you are doing great but I honestly believe you are right to fear. I wish for you that this fear doesn’t consume you and that you are happy. Not to be a downer but it can come back so fast. And it may take a while to notice. Keep up the good work. @AmeliaP – Truer word were never spoken. Same thing happened today. Someone brought chocolate and cookies. I did well until 3pm after my healthy lunch. I took one little chocolate bar, then another…. I couldn’t focus. I was alone at the nursing station. They were sitting there in the drawer asking me to eat them. I had to bring them up to the main recovery room until my colleague returned from her lunch. Yup I am addict. Thank you for this lovely entry. I’ve been having a lot of food spirals lately. You blog helps me see that I am not alone. Some days I wish I could do the OA thing and have someone make all of my choices for me. Or that I had the power to completely abstain from my triggers as my cousin did. PS. I’ve started your book. At chapter 4 and I love it. Chapter 2 had me rolling on the subway. You hit the fat nail on the head. @KIm – Yeah, I’ve heard about the insulin resistance thing too, and it makes a lot of sense. I guess the problem is figuring out the happy medium between too little and too much. @Jen Stevens – AMEN, Sista!! Yeah, I understand. Basically, a cookie is the boss of me. Cookies and I cannot share a room. I don’t have a link to any medical sites to back this up because it’s 4:30AM and I am too lazy right now to look for one, but I did have a psychiatrist tell me that brain studies have shown that the pleasure centers of the brains of overeaters light up in the same way that they do for heroin addicts when they use. 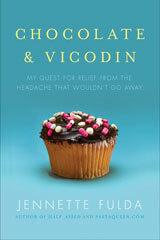 So, yeah, in my book you can be addicted to food. Any addiction can be destructive. Even seemingly healthy ones like exercise or scrapbooking are destructive if it controls your life. It’s not the food that is destroying me. It is the compulsion to use food to hurt myself. I am not addicted to food. I am addicted to behaviors that numb. The trick is identifying those behaviors, and controlling them. Learning to have a healthy relationship with food. Making wise choices. Choosing the whole grains, fruits, and veggies in sane portions, and fitting exercise into my day, everyday. And for goodness sakes, ending the propensity to drug myself with processed garbage. I don’t know anyone who binges on chicken breast, asparagus, and brown rice. These foods are nourishing. The foods I am using to binge are the processed, sugared, man-made garbage which have helped numb the emotions I’ve been unwilling to deal with for 10 years. “Crap addiction” works for me! (I think that he wrote it prior to “In Defense of Food”). Thanks for another thought (and comment) provoking entry, Jennette! We are in the Dark Ages when it comes to understanding how our brain works. I’ve always been particularly interested in those addictions that can’t just be stopped cold. I saw something on Oprah about various addictions and what it looks like in their brains. They studied the pleasure centers and how the addictions seemed to overwhelm those areas even when there ceases to be pleasure. It became sort of Pavlovian that the brain thought the substance would bring pleasure when exposed to even the thought of the substance. I also wonder what triggers us to start using something to (pick one…zone out, hide, comfort, cope, numb, disconnect, etc.). Short of being raised never knowing what’s “healthy/normal” behavior, it seems it always comes down to figuring out what we’re trying to escape with our addicting behaviors. I’ll be interested to see how others weigh in on this topic. Thanks for an interesting blog! I remembered a blog you wrote well over a year ago wherein you stated that you gained all your weight because you just liked food, that you had no emotional ties to it and that was it end of story. Now it seems that you have dug really deep and concluded that you are indeed addicted to food (me too! welcome! ), do you feel like a weight has been lifted, that you have the awareness and now just need to understand what drives it? Just curious! I have the awareness – that I stuff my face with food whenever a emotion hits but can’t seem to stop the train-wreck, my goal for 2009 is to do just that. I really look forward to your blogs, and insight, as you have helped me tremendously, just knowing that you are here writing whatever it is about – it’s support! It’s really called being a compulsive overeater, and the place we go is overeater’s anonymous. It is AA for food addicts, and even based on the same literature. I’m not trying to sell you on it or make you come to a meeting. That’s just where I found help. It is a serious disorder affecting those thin and fat alike. provoking comments are so making me cry and laugh, and my head is spinning around like the Disneyland teacups! I am a food addict and a compulsive overeater. I can relate to so many of the replies to your post. @Ann – I don’t think that all overweight people are food addicts. Some people have other primary health issues of which being overweight is a symptom, like hormonal imbalances or digestive complications. I also think it’s possible to abuse food without being a food addict, whether out of emotional response or habit or whatever. There are probably hundreds of reasons why people overeat. True food addiction is just one of the reasons. If someone is truly a food addict, then I absolutely believe they can learn to manage their addiction with the right tools and environment. It would be as hard as someone learning to manage alcoholism, but it could be done.